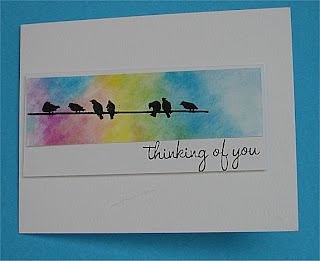 This is the card I made for Splitcoast Stampers Saturday Inspiration Challenge. I ..of course...used my chalks to color the background and the stamp was one I 've had for a long time called Life's Possibilities by Tim Holtz. If I were to do this card again ...which I'm not... 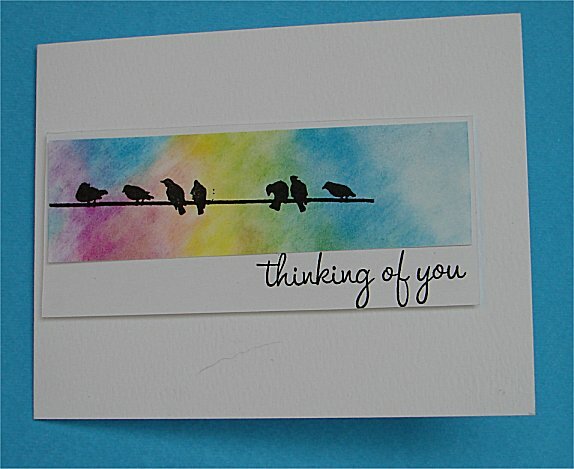 I think I would mask the rectangle right on the card front then chalk and stamp...thus making this a one layer card. I love the color. I have never used chalks but might have to try it. Looks great! Because of you, I finally bought some chalk!